611 Manitou Avenue, Manitou Springs, CO 80829 (#4053230) :: Fisk Team, RE/MAX Properties, Inc. 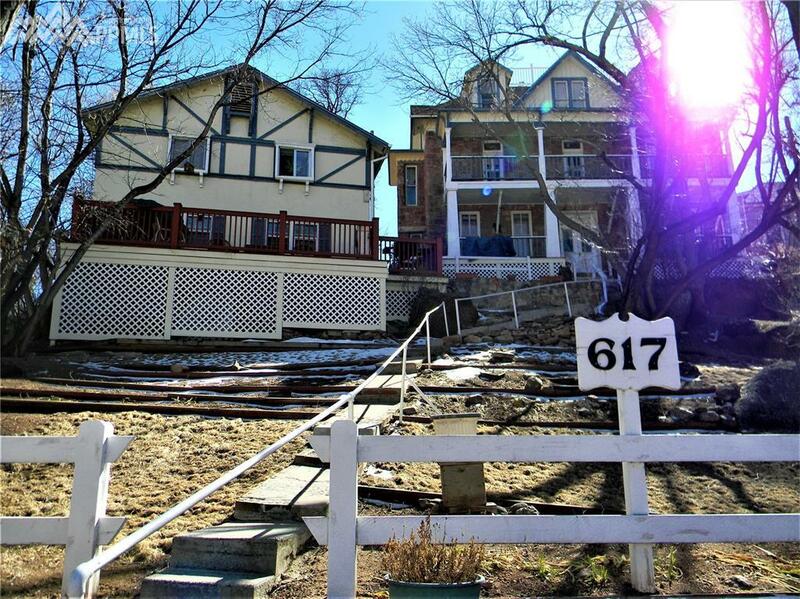 This stunning and very well cared for 12 unit property sits on a large impeccably landscaped park like setting lot with a big off street parking lot, great views, walking distance to downtown Manitou Springs, Garden of the Gods, numerous trails, parks etc... Consists of six units in the main house, single cottage, duplex and a tri-plex. Updated electric, plumbing, kitchens, bathrooms, sewer lines, roof etc... Laundry Mat is very close by. There is also a separate building by Manitou Ave that is currently rented.